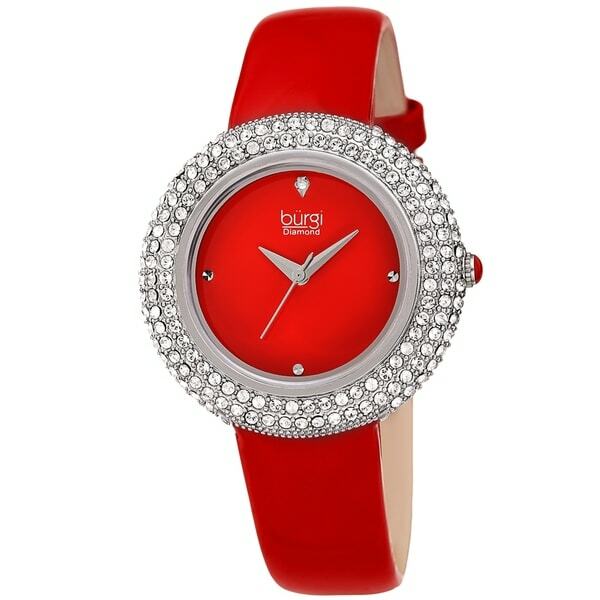 This luxurious Burgi timepiece features a brilliant case that is studded with sparkling crystals. The glossy dial is perfectly color-coordinated and includes a genuine diamond marker. A reliable quartz movement powers its classic three-hand timekeeping, and a glossy genuine leather strap completes its amazing presence.